Boost your performance with the L1 Model II system, our most advanced portable amplification system for musicians, DJs and public speakers. 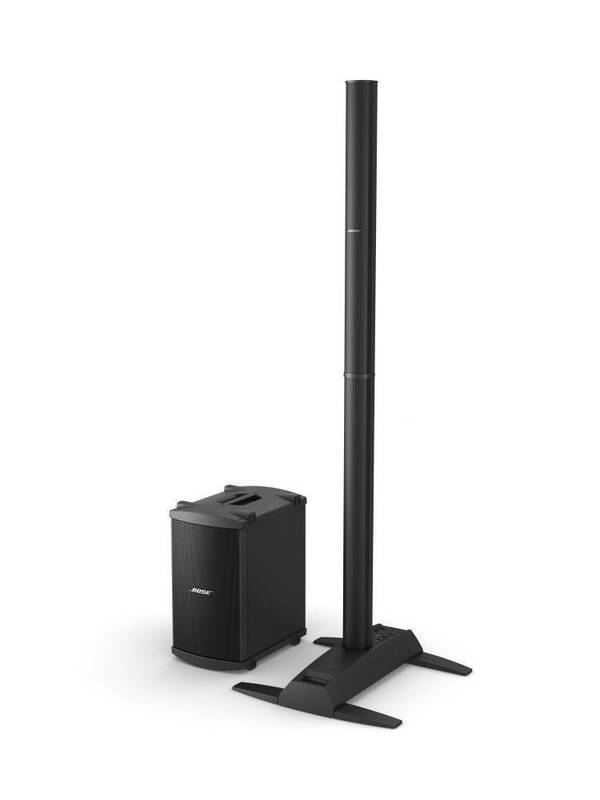 The loudspeaker delivers 180 degrees of horizontal sound coverage and our smoothest tonal balance across the stage and throughout the room. Includes one B2 bass module for more flexibility and even greater power at the low end. You can power one B2 bass module on a single L1 power stand. And the optional PackLite power amplifier lets you add a second B2 bass module for maximum low-end power. Bought two of these and since I'm running a mixing board I didn't need the extra modules and all I can say is with two of them?? The clarity...the sound dispersion...the VOLUME....it's completely unparalleled. This coming from a guy that has tried our virtually every conceivable type of speaker and combination. The fact that it's so easy to pack up in the ready to go bags and 24 speakers a side...26 if you include the B2 bass module with 2 x 8" woofers for medium range lower end fill-in. These are definitely not going to give you mind blowing bass but what is there is actually pretty surprising in of itself. They put out...and well for what they are. However, I also bought one 21" LS21P to compliment the setup and all I can say is it sounds way better than an awful lot of nightclubs and venues I've been too. 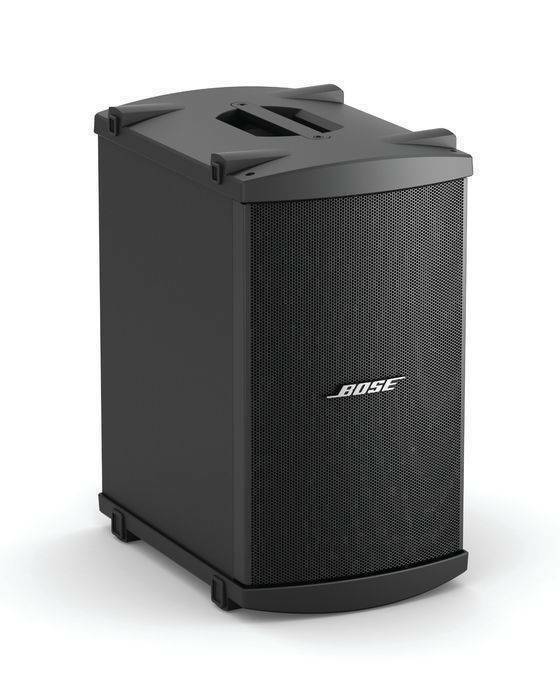 The single 21" delivers an earthquake level, wall buckling, heavy air moving and just....amazing...low end bass. 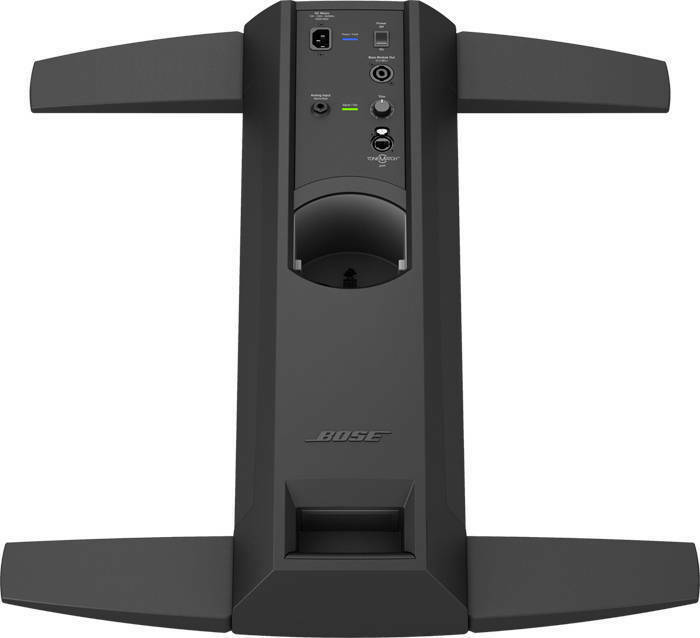 A possible added bonus to the Bose is their thin, sleek profile as opposed to huge walls of heavy speakers. With the Bose, not too sure why but it's ultra clear off the side behind them and even in other rooms which you can't say about any other speakers out there; usually if you're directly in line with them you're like Oh ya...great sound and then step out of the way of them and it's all muffled...not so with the Bose. Clarity mostly and sound dispersion secondly...in a class of their own altogether. I would 100% recommend them. My band mate purchased this system after we have been using Mackie SRM450 and sub. I have to say I was skeptical. Didn't seem to put out the punch we were use to. Pleasantly surprised with the sound quality and volume during our first live performace with this system. We rented a second speaker tower and subs the first night....way too much power!!! One system was perfect for a medium sized pub with a couple hundred people. We certainly could have played louder. No longer need in ear monitors. No feedback through mikes or through my acoustic guitar...no sound hole cover required either. We discovered not to put the bass module near a wall...bad sound and feedback in the low end. placed entire package 8 feet behind us...worked perfectly. Only bad part is now I have to sell my system and purchase one of these. I was very impressed! Great system, clear sound and very portable. However, it is really more for audiences of 300. Not 500. Any sales rep at the store will tell you the same thing. You may want to change that on the description.